The Winner’s Circle Rewards program is ending. Under OLG’s modernization plan, management of OLG Slots and Casinos gaming locations has transitioned to private sector Service Providers. Many Service Providers have introduced or will shortly introduce their own loyalty programs. As a result, the Winner’s Circle Rewards program is expected to end fully in the Fall of 2019. 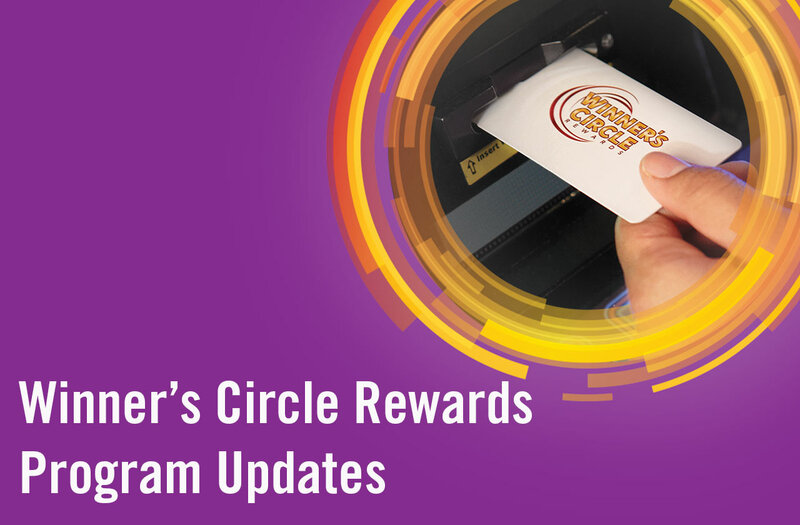 You can continue to earn and redeem Winner’s Circle Rewards benefits, including Cashback, at Service Provider locations still participating in the program. Limited locations are still participating and changing monthly. Stay up to date. Review the chart below, often. Casino Ajaxlink opens in a new window/tab Fully participating in Winner’s Circle Rewards. See Rewards. Elements Casino Brantfordlink opens in a new window/tab Winner's Circle Rewards ending soon. Redeem Cashback now Click for more. April 11, 2019 – Elements Casino Brantford link opens in a new window/tab will launch its Elements Rewards loyalty program on July 12, 2019 and is expected to end participation in Winner's Circle Rewards by August 8, 2019. Redeem your Winner’s Circle Rewards Cashback before August 8, 2019. Gateway Casinos Dresdenlink opens in a new window/tab Winner's Circle Rewards ending June 17. Redeem Cashback now. Click for more. April 1, 2019 – Gateway Casinos Dresden link opens in a new window/tab will launch its My Club Rewardslink opens in a new window/tab loyalty program on June 10, 2019 and is expected to end participation in Winner's Circle Rewards by June 17, 2019. 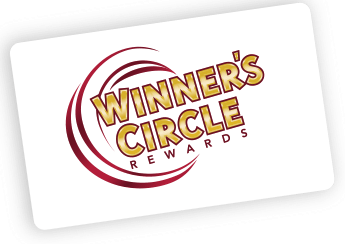 Redeem your Winner’s Circle Rewards Cashback before June 17, 2019. Elements Casino Flamborolink opens in a new window/tab Fully Participating in Winner's Circle Rewards on Slots. Update on Live Table Games. Click for more. March 12, 2019 – Elements Rewards is available exclusively on Live Table Games at Elements Casino Flamboro link opens in a new window/tab. You can continue to earn and redeem Winner’s Circle Rewards Cashback Points on slot machines as always, for now. Elements Casino Flamboro will begin converting slot machines to accept Elements Rewards on May 23, 2019 and is expected to end participation in Winner's Circle Rewards by June 26, 2019. Redeem your Winner’s Circle Rewards Cashback before June 26, 2019. Elements Casino Grand Riverlink opens in a new window/tab Fully participating in Winner’s Circle Rewards. See Rewards. Shorelines Slots Kawartha Downslink opens in a new window/tab Update – Winner’s Circle Rewards continues at this location. Click for more. December 19, 2018 – Check back regularly for updates. Elements Casino Mohawklink opens in a new window/tab Winner's Circle Rewards ending May 21, 2019. Redeem Cashback now. Click for more. April 9, 2019 - Elements Casino Mohawklink opens in a new window/tab began converting slot machines to Elements Rewards on April 9, 2019 and is expected to end participation in Winner’s Circle Rewards by May 21, 2019. Redeem your Winner’s Circle Rewards Cashback before May 21, 2019. Gateway Casinos Sault Ste. Marielink opens in a new window/tab Winner’s Circle Rewards ending May 2, 2019. Redeem Cashback now. Click for more. April 23, 2019 – Gateway Casinos Sault Ste. Marielink opens in a new window/tab began converting all games to My Club Rewardslink opens in a new window/tab on April 23, 2019 and is expected to end participation in Winner’s Circle Rewards by May 2, 2019. Redeem your Winner’s Circle Rewards Cashback before May 2, 2019. Casino Woodbine link opens in a new window/tab Offers One Rewardslink opens in a new window/tab. For a list of previously participating locations and information about the Service Providers new loyalty program, visit about.olg.ca/slots-casinos/ link opens in a new window/tab.